BBC's Sir David Clementi or Channel Four's Charles Gurassa - Who will lead on tv diversity? Why it seems likely, going into 2018, that we should expect more Ofcom reports saying “The BBC should be leading the way, but its performance is behind that of Channel 4”. Before the month was out, it became clear that the Secretary of State’s optimism about the new BBC Board delivering transparency was badly misplaced. The new BBC Board had been captured by the siege mentality of the old BBC management – defending its customs and actuality, right or wrong. The matter in question was BBC complaints. ITV and C4 were required to report on complaints every two weeks. Ofcom asked the BBC to bring its complaints reporting in line. Notwithstanding this clause, the BBC also argued that Ofcom’s powers to require greater public transparency of the BBC were restricted and it took issue with Ofcom’s proposed use of them. “We continue to consider that the greater transparency we proposed is necessary to build and maintain public confidence in the operation of the BBC under the new framework and to provide public accountability." Is the old BBC management tail wagging the new BBC dog, the Board? Nobody in this new unified structure had thought to tell Clementi that Ofcom’s Diversity Monitoring Report, in the morning, might require a change in his prepared text for the late afternoon. At 6pm, Clementi rose to tell the delegates “the BBC is one of the most diverse workforces in the UK” – an old BBC assertion for which no evidence has ever been adduced. This rang hollow after Ofcom had revealed that the BBC trailed so poorly behind C4 on diversity. On complaints, the BBC had also argued that it shouldn’t need to report fortnightly on it because this meant changing BBC systems and more regular reporting would require too much work from senior executives and the press office. In Karen Bradley’s terms, fortnightly reporting was too hard and the BBC wasn’t prepared to try. The task of addressing diversity is much harder than addressing more regular reporting of complaints. Will the Board take diversity more seriously? "We need to do things much quicker than we have done in the past and the BBC should be leading the way. If the BBC is not doing it, it gives every other organisation an excuse not to do it as well." 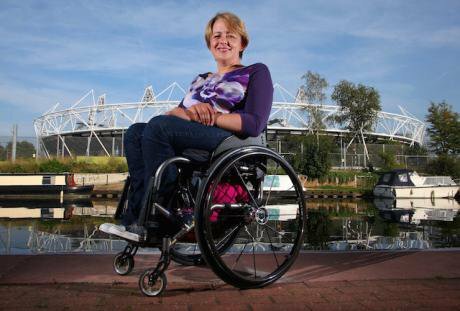 Grey-Thompson has sat on the boards of the National Disability Council, the Sports Council for Wales and UK Sport, and currently sits on the boards of TfL and the London Legacy Development Corporation. Tom Ilube, founder of the African Gifted Foundation and the African Science Academy, was named the most influential black person in the UK in Powerlist 2017. His 30-year career in the UK technology sector includes roles at PricewaterhouseCoopers, Goldman Sachs and the London Stock Exchange. Ilube is currently CEO of cyber security firm Crossword Cybersecurity plc and has previously founded several start up technology businesses. Ilube’s TED talks on “Why Africa’s girls will engineer the future” and from “From Artificial Intelligence to Intelligent Africa” reveal him to be a deft and persuasive speaker. "If there is a war of talent going on, then why on earth would you want to put people off who are gay or black or female?” It simply doesn't make business sense. And I think clients want to see a diverse workforce." Steel was Vice Chairman at professional services firm, KPMG. During her time with the firm she worked in over 40 countries advising both listed companies and national governments and, while based in the USA, led its global technology and media practice. As well as the BBC, Steel is a non executive director on the boards of National Express plc, the Civil Aviation Authority and the international law firm, Ince & Co. She has also appeared in the Pride Power List, the World Pride Power List and was a founding member of the global advisory board for Out Leadership which promotes the idea of “the Return on Equality”. Clementi who, as Chair, must have had a decisive role in board appointments, should be congratulated on these formidable choices, but will he and they be able to overcome the management on which the board is so dependent for data, information and implementation – a management which has been so determined to resist change and whose record on diversity is so poor? By April, the BBC must publish a Code of Practice. It will cover on-screen portrayal and casting, workforce diversity and the production and commissioning decision process. The Code should apply to the £1billion of BBC external supply, set clear minimum requirements with penalties for non-compliance and require suppliers to implement Ofcom's "Guidance: Diversity in Broadcasting". The Code’s terms and scope will provide the first clear signal of whether or not the new BBC Board is taking diversity seriously. Later, the Board must produce the 2018 BBC Annual Plan. The 2017 plan received a pasting at Ofcom’s diversity stakeholder event on 13 July. Critics pointed out that the section on diversity was strong on assertions for which no source or evidence had been provided, and a former ITV company board director said that such a threadbare annual plan for diversity would never have passed muster even in a small ITV broadcaster. Ofcom offered to circulate, later that day, the relevant sources and methodological basis from the BBC, on which some of the BBC assertions were based. That information never came. The 2018 plan, will be baked at an away day this month and finalized in February or March. It will give the new board an opportunity to show it can do better on diversity. The plan is important because much of Ofcom’s regulation is based on monitoring the BBC’s progress towards meeting its own goals in the Annual Plan. There is, as yet, no gold standard in public service broadcasting for driving diversity but Channel 4 has done more than any other broadcaster as the positive outcome from Ofcom’s first Diversity Monitoring Report shows. Channel 4’s “360-degrees Diversity Charter” sets out 30 initiatives and every year the channel reports on each of them stating the Objective, the Result and the Lessons learnt. At C4, on diversity, there has been no split between the tail and the dog. This approach was developed under the old board and the old management, led by Oona King who has now left and Executive Director Dan Brooke who remains. Channel 4’s new board and management is even more committed. In October 2017, Alex Mahon became the new CEO. The November 2013 Broadcast Diversify Conference marked the turning point in the diversity debate. Alex Mahon, then CEO of the Shine Group spoke from the floor and followed with an article, “Diversity: time to act, not talk”, in Broadcast. In March 2014, at the Enders Analysis Creative UK Conference, Mahon proposed that the top ten programmes by ratings/year should be representative of the UK and suggested that this would be widespread enough to make a substantive difference and simple enough to measure. Coming clean, last December, on the negative outcomes in C4’s BAME staff experience research marks Mahon out as a trailblazer. C4 now needs to require its suppliers to implement Ofcom's "Guidance: Diversity in Broadcasting" and demonstrate that its Commissioning guidelines actually drive diversity. They look good on paper but do they actually work? We don’t know. Charles Gurassa, the Channel 4 Chair, was in the audience for the channel's last diversity conference and kicked up a fuss when Karen Bradley refused to allow the diversity champion Althea Efunshile to be appointed to the board in 2016, quibbling over the criteria. A year later Efunshile has finally been appointed with Bradley’s blessing. There she joins another diversity champ and Paralympian medal winning Peer, Chris Holmes. With Mahon at the helm, it is unlikely that this team will rest on its laurels. Will Clementi or Gurassa lead on tv diversity? Sir David Clementi is widely admired in the City and in Westminster. He was the architect of the BBC’s new unitary structure but designing a structure and making it work effectively are two different tasks. It is said that when Eisenhower was elected US President in 1952, his predecessor, Truman remarked, “When Ike gets his hands on the levers of power, he’ll find they aren’t attached to anything.” Clementi may find himself in the Ike position. Despite his own talents and the commitment of his formidable non-execs, it is improbable that in 2018 he will be able to overcome the BBC’s deeply embedded resistance to change. The unitary structure is most unlikely to be united on the radical changes needed to advance diversity in the BBC and its suppliers. Charles Gurassa, by contrast, has shown that on diversity he can fight and win as he did with the Efunshile appointment. At C4, he finds himself with a CEO and management which is fully committed on diversity and should be determined to do even better. 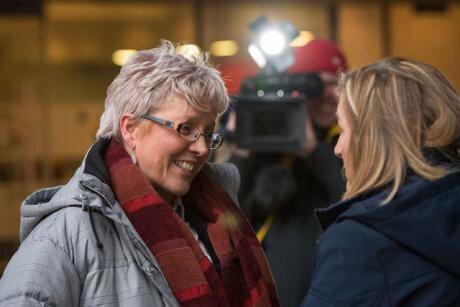 This week the BBC China Editor, Carrie Gracie, resigned over pay discrimination – unequal pay for the same job. Gracie would be bound to win any tribunal or legal challenge, unless the BBC is able to demonstrate that the male international editors have unique characteristics which entitle them to be better paid than their female counterparts with the same job title. This seems unlikely. In July 2017, the BBC Director General, Tony Hall said that closing the gender pay gap had been “a personal priority over the last four years.” It is clear that the inflexible BBC culture can thwart even a Director General when he wishes to address diversity issues – even when they carry a legal risk. Sir David Clementi’s experience of the rationale commercial world may not equip him to get a grip on the inflexible culture of the BBC. It seems likely that we should expect many more Ofcom reports that say “The BBC should be leading the way, but its performance is behind that of Channel 4”.